There's simply no rest for the wicked in the Marvel Cinematic Universe. Filming just recently wrapped on Avengers: Infinity War, which is going to be the culmination of everything that has happened in the MCU for a decade by the time the movie comes out. Now, nearly a year before that movie even hits theaters, Avengers 4 is already about to roll film. 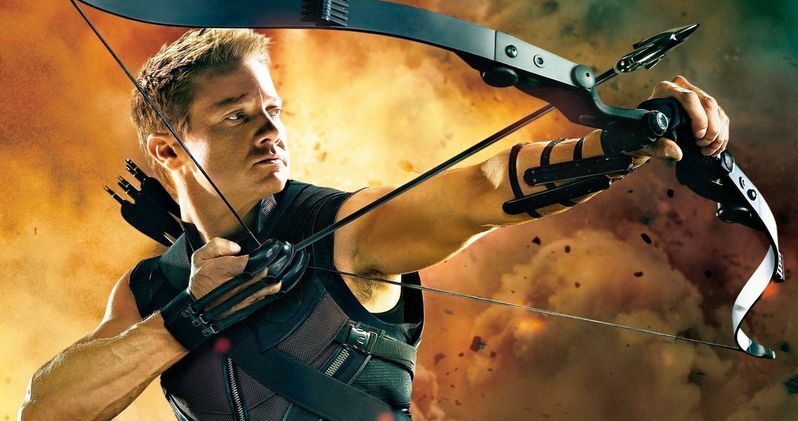 According to Jeremy Renner, he is going to begin filming his part as Hawkeye in less than two weeks. The actor, who has portrayed Hawkeye in the MCU since the first Thor movie, recently spoke with Collider in order to promote his latest movie, Wind River. During the course of the conversation, he was asked about when is going to return for filming on Avengers 4, which still doesn't have an official title. According to Jeremy Renner, it is starting a lot sooner than you may think. Here's what he had to say about it. "Like 10 days. Two weeks. Something like that." Avengers: Infinity War wrapped filming just in time for the cast to head out and promote the movie at Disney's D23 Expo and San Diego Comic-Con before getting back to the grind here on Avengers 4 very shortly. Just because Jeremy Renner is heading to shoot some of his parts for Avengers 4 doesn't necessarily mean that all of the other Marvel heroes are going to be reporting for duty. As we saw with Avengers: Infinity War during production, balancing all of these schedules is insanely tricky and many of the actors aren't on set at the same time in order to accommodate all of their other projects. But this does mean that directors Joe Russo and Anthony Russo (Captain America: Civil War) are back at it. Considering that Marvel hasn't even released the Avengers: Infinity War trailer to the public yet, not much is known about the third Avengers movie. Let alone what the fate of the heroes and the Mad Titan Thanos will be by the end of that movie. So speculating about what will happen in Avengers 4 is a pretty pointless endeavor at this point. That said, with set photos and videos almost certainly going to leak during production, it may be tough to totally avoid spoilers on this one. That is something Marvel fans may want to keep in mind while Avengers 4 is filming. Josh Brolin recently confirmed that he is going to return for Avengers 4, so we can pretty safely guess that Thanos is going to be more than a one-and-done villain. That is a very good thing, considering that he has been built up for more than 5 years at this point. What good will Hawkeye and his arrows be against that kind of power? We'll see when Avengers: Infinity War arrives in theaters on Avengers: Infinity War opens May 4, 2018, which will be followed by Avengers 4 a year later on May 3, 2019.